Sensor can monitor wiring in a building or ship, and signal when repairs are needed. 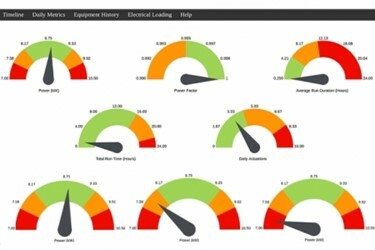 David L. Chandler | MIT News Office -- A new system devised by researchers at MIT can monitor the behavior of all electric devices within a building, ship, or factory, determining which ones are in use at any given time and whether any are showing signs of an imminent failure. When tested on a Coast Guard cutter, the system pinpointed a motor with burnt-out wiring that could have led to a serious onboard fire.